Click on the drop down menu of the left to see a greater explanation of the above kicks. 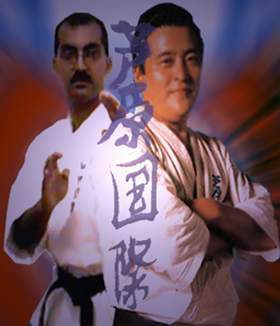 During basic practice, contract each part of the kick as much as possible to create tension, which is released through the turning motion of the kick. If you don't turn your hips enough, the technique will lack of power and you'll lose balance. Kicks depend on flexibility. Stretching the hip joint ('the splits') is therefore a vital part of training. High kicks are higher and sharper if you have a good turn and stretch in the hip joint. 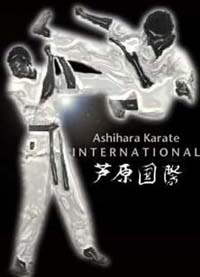 Keep hold of your belt while practising kicks! If your hands are free, use them to stabilise yourself, and never notice how really bad your balance is. It is very difficult to correct bad balance once it becomes a habit, so if you can balance without using your hands, then you'll easily be able to punch and guard yourself as you kick in a real fight. For those who have a problem with balance, first master both the kicking motion and the twisting action of the hips while holding onto a hand rail, and gradually develop a sense of balance. your pivot leg is stable. your pivot leg knee is not pointing outwards. weight shift is smooth and fast. the twist at the hips is smooth and sharp. there's enough spring in your knees and hips. power is concentrated at the point of impact. you don't follow through too much. you are training out of the front stance. you extend your pivot leg in the direction of impact. Let the leading edge of your attack run freely to its target. It's helpful here to train to kick without turning your supporting leg, using the spring and turn in hips. the kicking leg and the knee of the supporting leg instead. 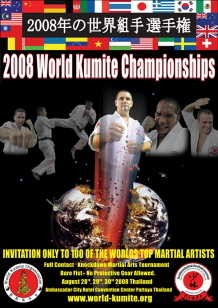 The World Kumite Championships was held in Pattaya, Thailand in August 2008. 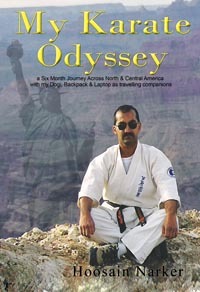 This event showcased the true spirit of the Martial Arts and had top fighters from all around the World. Kaicho was elected to the Executive Committee of Grand Masters.